We have two enormous elderberry bushes in front of our house. Last year we got a small harvest and made elderberry jam. 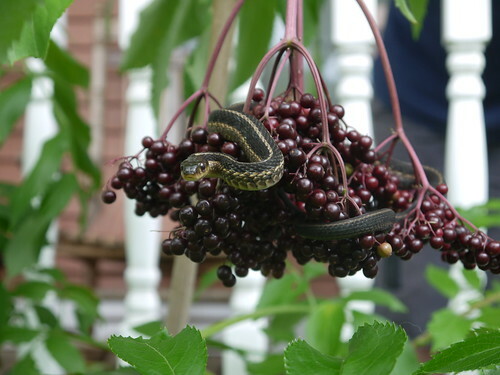 This year the plants produced a prolific harvest and this weekend were ready to be picked. 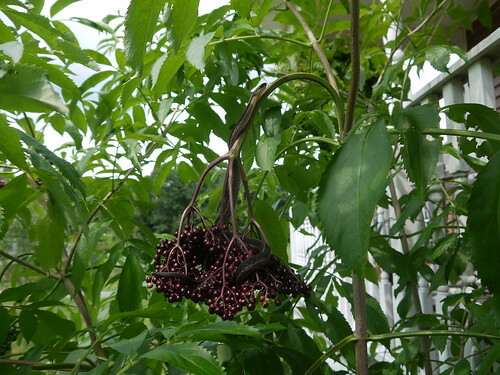 Our plan is to make elderberry syrup using this recipe and can it for use over the winter. We have about two gallons worth of berries so we expect to also be able to make some jelly and maybe even some sambuco. 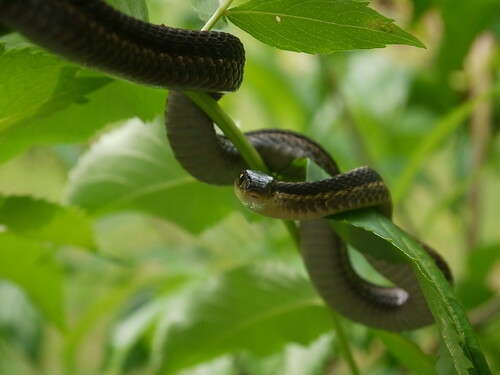 In the front we always have a few garter snakes hanging out. 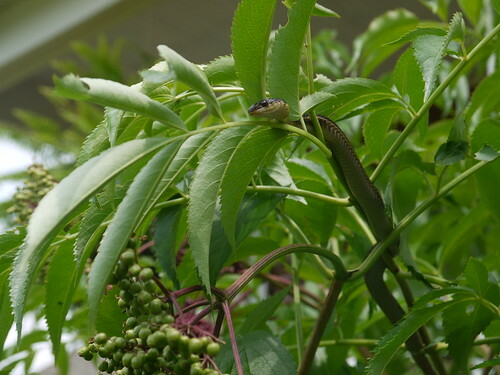 I was very aware of this as I was cutting the stems to harvest the berries and watching where I stepped. 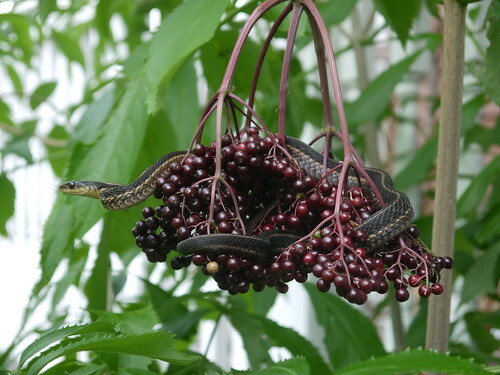 Imagine my surprise as I looked up and saw a garter snake just over my head in a cluster of berries. Mike got the camera and took a ton of spectacular pictures that you can see below. There are still some berries left on the plant and I might have enough to do another small harvest this weekend.